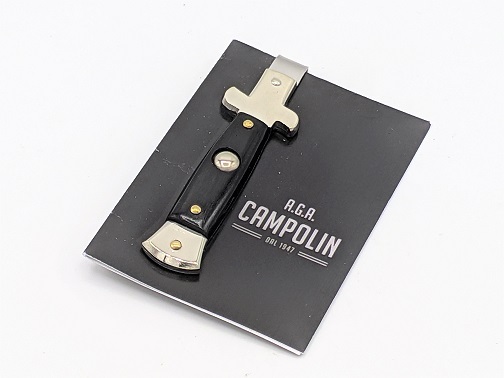 Handmade money clip made by italian craftmen AGA Campolin. 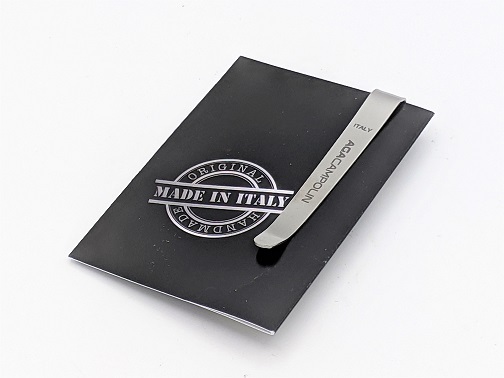 Imported from Maniago, Italy. Nickel silver bolsters and stainless steel AISI 420 parts. Natural scales material, this is made with ebony wood.